Naima J. Keith and Diana Nawi. Photo: HRDWRKER / Prospect New Orleans. 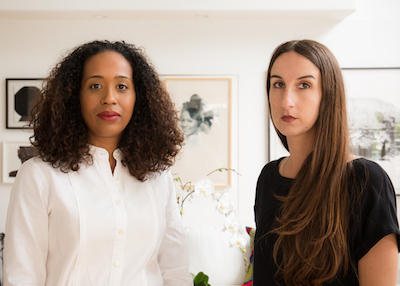 Prospect New Orleans, the city’s contemporary arts triennial, which will open on October 24, 2020 and run through January 24, 2021, has announced a team to advise cocurators Naima J. Keith, newly appointed vice president of education and public programs at the Los Angeles County Museum of Art (LACMA) and former deputy director and chief curator of the California African American Museum, and Los Angeles–based independent curator Diana Nawi for its fifth edition. Prospect.4, “The Lotus in Spite of the Swamp,” took place from November 19, 2017 to February 25, 2018 and was curated by Trevor Schoonmaker, deputy director of curatorial affairs at the Nasher Museum of Art at Duke University.